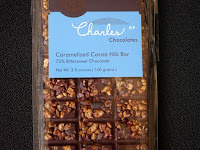 Welcome to Day #8 of Cocoa Nibs Theme Week. 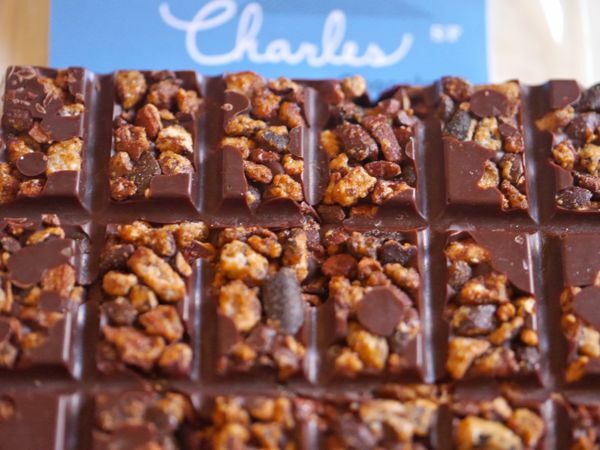 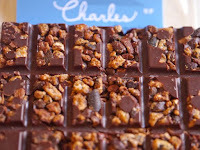 Today's Caramelized Cocoa Nib Bar from Charles Chocolates (San Francisco, CA) was made with 72% Bittersweet Chocolate. 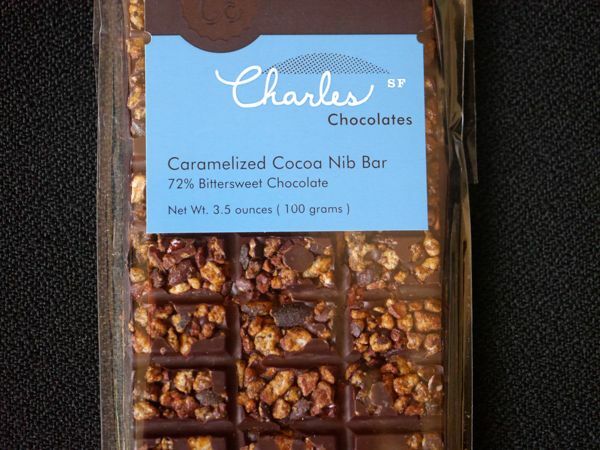 A generous helping of caramelized nibs on the bar provided texture and an attractive golden color; and the sweet crunchy bits complemented the smooth, solid bittersweet dark chocolate.